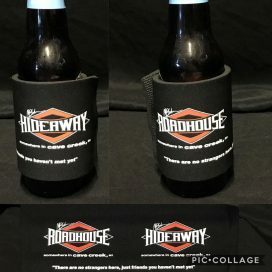 One side displays Roadhouse and the Hideaway Grill logos and the other the Boneyard logo. 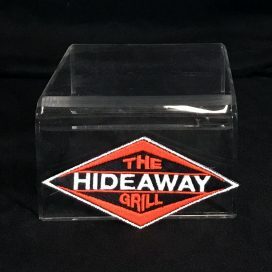 Small Diamond Patch of the Hideaway Grill Logo. 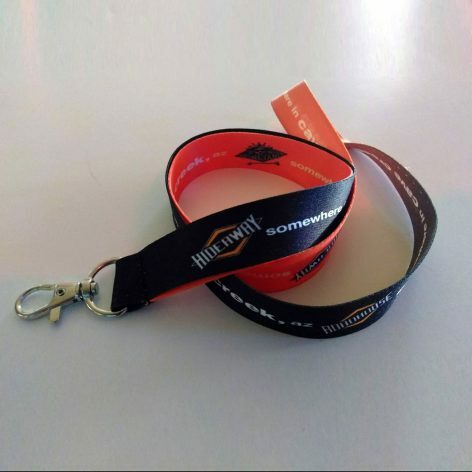 Colors: orange, black and white. 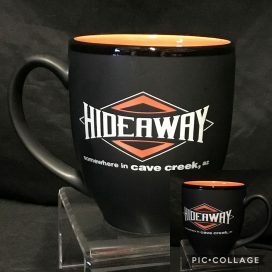 The Hideaway Grill Coffee Mug. 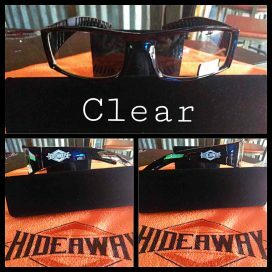 Color of mug: black.